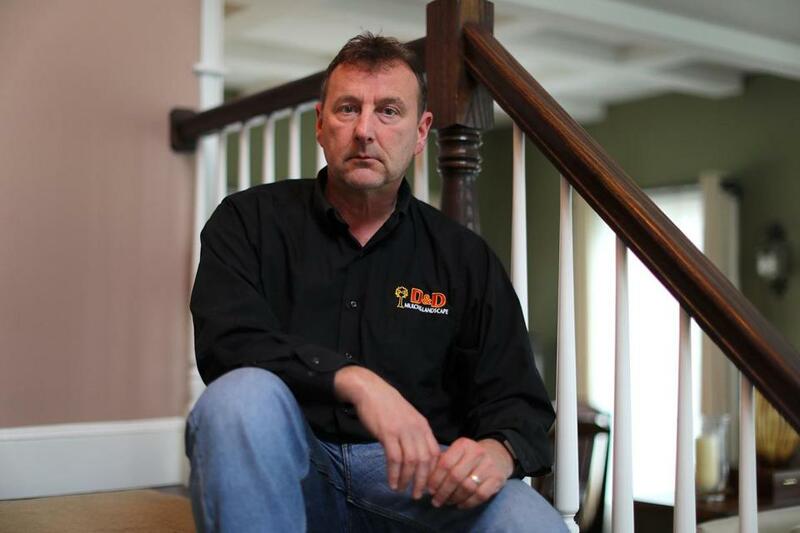 Paul Doherty was awaiting an MRI last year when his gurney was sucked into the machine. The MRI scan had gone smoothly, the huge machine searching for clues to Paul Doherty’s excruciating back pain. But the technician who then moved Doherty onto a gurney in the hallway inadvertently wheeled him back into the MRI room, doing what should never be done: bringing a metal object into a space radiating with magnetic power. 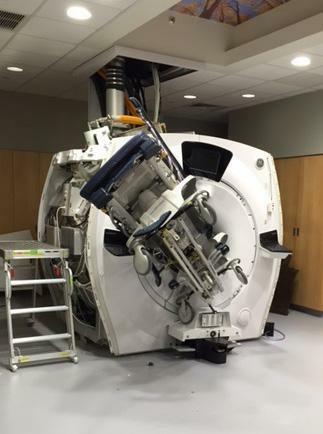 The MRI’s magnet began to drag the bed toward it — with Doherty still on it. The employee shouted for help and two colleagues rushed in. They immediately realized that even the three of them were not strong enough to combat an MRI. They helped Doherty off and let the bed go. Out in the hallway, they heard a crunching metallic noise something like a car crash. The gurney had mashed into the magnetic resonance imaging machine, where it would stay for the next three days. No one was injured in this accident in February 2016 at Brigham and Women’s Hospital in Boston. But the incident highlights the hazards of a technology with risks that are becoming more widely appreciated. MRIs have always been considered to be safer and require less regulation than X-rays or CT scans, which emit ionizing radiation that can cause cancer. But MRIs can turn common metal objects like hammers, oxygen tanks, and floor polishers into projectiles. More typically, they can cause burns and hearing damage — injuries that some safety specialists fear are increasing in frequency, given the growing power and speed of the machines. MRI scanners use strong magnetic fields and radio waves to generate images of the organs inside the body. And while the Brigham employs the latest safety measures — measures that were refined after last year’s accident — the industry overall needs more rigorous standards and oversight, said Dr. Emanuel Kanal, MRI director at the University of Pittsburgh Medical Center and a well-known safety expert. Moreover, it’s hard to know how often accidents occur or if they are increasing, because no national organization or agency collects reliable data on MRI injuries and near-accidents. Even Massachusetts, which requires hospitals and surgery centers to report deaths and serious injuries caused by metal objects in MRIs, does not track near-misses. Between 2012, when the rules went into effect, and 2015, hospitals reported four injuries. Safety experts applauded the Brigham for openly discussing last year’s accident in a recent hospital newsletter, an education forum with employees, and subsequently with the Globe. These types of incidents are often kept private, due to embarrassment, making it difficult for health care providers to learn from one another’s mistakes, said Frank Shellock, a longtime MRI safety specialist affiliated with the University of Southern California. “This absolutely happens elsewhere, but people won’t talk about it,’’ Shellock said. “There is no good source of information’’ about the frequency of accidents, he added. The worst accidents often make headlines. The most horrifying occurred in 2001, when 6-year-old Michael Colombini was undergoing an MRI at Westchester Medical Center in New York. The machine turned an oxygen canister into a missile, which struck and killed the boy. After his death, the American College of Radiology created an expert panel that developed safety guidelines for MRIs, which are 1,000 times stronger than a refrigerator magnet. But the college did not start inspecting the centers it accredits until more recently, said Kanal, who led the effort to write the guidelines. Accreditation is voluntary, he added. And in many states, Kanal said, there is no required training or certification for technicians who run the machines. Most projectile accidents occur because hospital staff did not realize that MRI magnets are always on, even when the electricity is off. In 2014, two hospital workers in New Delhi were pinned to an MRI for four hours by a massive oxygen tank. Both were injured and fell unconscious as workers struggled to free them, according to media reports at the time. In Boston, Children’s Hospital, Tufts Medical Center, and Massachusetts General Hospital said they have had projectile accidents in past years. At Children’s in 2015, two metal rods in a plastic waste container lid were pulled onto an MRI. An employee suffered shoulder and neck strain trying to dislodge them — one of the injuries reported to state regulators since 2012. Also in 2015, a metal pole used to transport intravenous medicine flew into a magnet at Tufts Medical Center; nine years ago, a maintenance worker there walked in with a hammer that was sucked into an MRI. No one was injured. An anesthesia cart flew into an MRI at MGH almost two decades ago. All those accidents prompted new safety measures, as did the accident at the Brigham last year. Doherty, 52, arrived in the Brigham emergency room in February 2016 in great pain. The next morning an anesthesiologist gave him strong pain killers to keep him comfortable during the MRI test, he said. Before entering the MRI room, he was transferred to a special nonmetal bed. After the scan, the technician transferred Doherty back to the regular gurney in the hallway — but then mistakenly backed up into the room, rather than into the corridor. Doherty said his gurney began to spin around and the technician yelled for help. Tuan Luu, another technician working nearby, hurried in. “I was pretty amazed by what was going on,’’ he said. A magnet drew in a gurney that was wheeled into an MRI room at Brigham and Women’s Hospital. Doherty, the patient on the gurney, was not hurt. The hospital applied a review system called “just culture’’ when it examined the incident. That meant it looked for gaps in its policies and procedures, rather than blaming the technician who wheeled the bed into the room. He had been working 10 hours straight to keep up with the workload, leading to a discussion with technicians about taking breaks. The Brigham, which expects to do 71,000 MRIs this year, installed safety straps across the doors of its MRI rooms. They have to be unhooked before a person can enter, helping stop someone from entering absent-mindedly if the door is open. The hospital believes “alarm fatigue,’’ which occurs when health care workers are desensitized to constant alarms, also played a role in the accident. Before the incident, an alarm would sound whenever a ferromagnetic object was nearby; now they go off only when the object crosses the threshold, significantly reducing the number of alarms. The near-accident also prompted discussion at the Brigham about an extreme measure called quenching. Punching the red quench button for an MRI powers down the magnet in less than a minute. But this action carries risks of its own — potentially causing a breathing hazard if very cold helium escapes from the magnet into the room — and can permanently damage the machine. Many technicians and radiologists have been trained that quenching should occur only very rarely and only in life-threatening situations. Gradually powering down the magnet over several days is generally considered safer — this is what happened after the Brigham gurney slammed into the machine. But after discussions with the manufacturer, GE Healthcare, the hospital decided it was in line for a culture shift. “We want employees to know they are empowered to quench,’’ said Dr. Srini Mukundan, medical director for MRI. The Brigham reported two incidents to public health officials in prior years. They involved patients with metal implants, which the MRI magnet can dislodge or damage. One patient did not disclose a metal device implanted under the skin. The patient required follow-up monitoring. Another patient had a cochlear implant that was not properly removed before the MRI. The patient experienced initial pain and the implant required repair. Dr. Jerry Froelich, chairman of the American College of Radiology’s MRI safety commission, said he is more concerned about burns and hearing damage that sometimes result from MRIs, than about projectiles. “Those incidents are probably 10 times higher than what we hear about,’’ he said. Burns can occur when the machine heats up tattoos that contain iron, or metal implants like pacemakers. Many people with implants cannot have MRI scans. The stronger and faster the magnet, the louder it is, making it necessary for MRI facilities to give patients headphones or earplugs. Liz Kowalczyk can be reached at kowalczyk@globe.com. Follow him on Twitter @GlobeLizK.